Pennsylvania is one of the last states to launch a prescription drug monitoring program that prescribers can access. 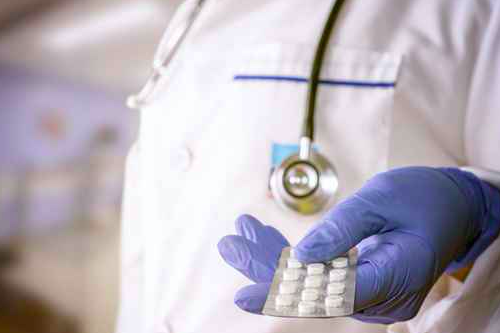 Researchers at the University of Pennsylvania's Perelman School of Medicine have traced a steady rise in opioid painkiller prescriptions provided by physicians to surgical patients for relatively minor procedures, according to a long-term analysis of insurance claims. In a study conducted jointly with the University of Toronto, researchers from the Perelman School's department of Anesthesiology and Critical Care looked at more than 155,000 insurance claims from 2004 to 2012. The claims covered four common outpatient surgeries among adults: carpal tunnel repair, laparoscopic gall bladder removal, some minimally invasive knee surgeries, and hernia repair. The analysis focused on patients who had not received an opioid prescription during the six months prior to their surgery. In those cases, four out of five patients in the study filled a prescription for an opioid painkiller within seven days after their surgery. Across all four surgeries included the study, the percentages of patients who obtained and filled opioid prescriptions sharply increased from 2004 to 2012, rising as much as 18 percent for patients undergoing knee arthroscopy. The trend was driven by changes in the average daily dose prescribed to patients. Within the larger context of a resurgent U.S. opioid epidemic – specifically heroin addiction – the research findings are particularly alarming. An estimated 2.1 million Americans have a substance abuse disorder derived from prescription opioid painkillers, while as many as 467,000 Americans are estimated to suffer from heroin abuse, according to the National Institute on Drug Abuse. “These data show us a concerning trend,” said senior study author Mark Neuman, MD, MSc, an assistant professor of Anesthesiology and Critical Care and director of the Penn Center for Perioperative Outcomes Research and Transformation. “The growth we observe over time in opioid prescribing after surgery occurs against the backdrop of a major public health crisis of prescription opioid abuse." The study, published online in JAMA, comes at the same time that the Centers for Disease Control and Prevention (CDC) issued major new guidelines calling on physicians to scale back opioid prescriptions for surgical patients and those with painful conditions. The CDC now urges clinicians to define treatment goals before providing opioid prescriptions for pain management outside of active cancer treatment, palliative care, and end-of-life care. Chronic pain, according to the guidelines, should be treated with non-opioid therapies unless the benefits for pain and function are expected to outweigh the risks.